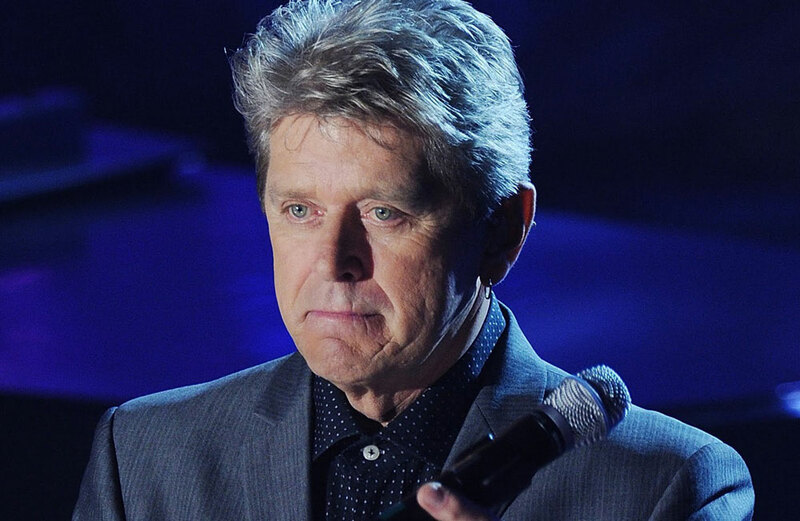 Casual music fans may not recognize the name Peter Cetera but it’s almost guaranteed that they’ve heard his music. Cetera’s most recent album of new material – not including his Christmas album in 2004 – was “Another Perfect World,” which was released in 2001. Obviously, Cetera’s back catalogue is enough to sustain his popularity and generate sold-out shows. “I haven’t done an album in years,” said Cetera during a phone interview Tuesday afternoon from his home in Ketchum, Idaho. “I moved here to Idaho years ago when Chicago and I parted ways. I didn’t want to raise my young daughter in Southern California. “The reason I haven’t made an album in years is that there is no record company, per se, and I’m just not into that internet stuff. As long as Cetera sings his gems from the past, there will always be an audience for his live shows. Cetera also has the advantage of being able to sing in a vocal range that fits him. Cetera emphasized that his show is not a “Chicago’s Greatest Hits” show. Cetera also discussed the evolution of the band’s name and why most of the band’s albums are title with the band’s name and a roman numeral indicating which release it is. “When Chicago first started, the band was called Chicago Transit Authority,” said Cetera. “At the time, Chicago had Mayor (Richard) Daley who was a very powerful politician. He didn’t want us associated with the city’s transit authority, so we had to change the name. “It was Columbia Records’ idea to have the ‘Chicago’ logo and use roman numerals for the album titles and record covers. They wanted to keep us faceless. Maybe they thought that if somebody left, they could carry on without it being noticed much. “It was silly of Columbia because when a lead singer goes, that’s the sound of the group. For example, a band can be called Journey, but if Steve Perry isn’t the singer, it’s not Journey. Video link for Peter Cetera – https://youtu.be/bQOBeCArfk0. The show at the Parx Casino will start at 7:30 p.m. Tickets are $45, $55, $65, $75 and $85. The Dales, who are headlining a show on July 26 at MilkBoy Philly (1100 Chestnut Street, Philadelphia, 215- 925-6455, www.milkboyphilly.com), became a band in a usual and an unusual way. 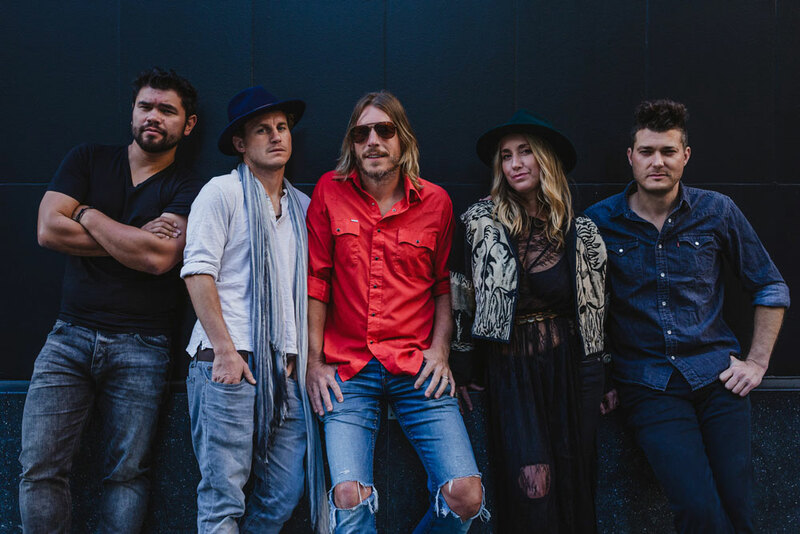 Based in Los Angeles, the Dales are a five-piece Americana roots-rock band featuring Drew Lawrence, Kyle Vanes, Preston Pope, Blake Paulson, and Carrie Turner. “I grew up in Seattle and went to school in Boston,” said Lawrence, during a phone interview Tuesday afternoon as the band travelled through Delaware on its way to a show in New York City. Going to Berklee – moving to L.A. – these are “usual” paths for bands in their early stages. The Dales’ song “Still the Love” was written as a dedication to Allman. That’s the “unusual” part of the band’s formation. A video of their song, “Still the Love,” caught the attention of Grammy-nominated producer Jerry Streeter (The Lumineers, Brandi Carlile). 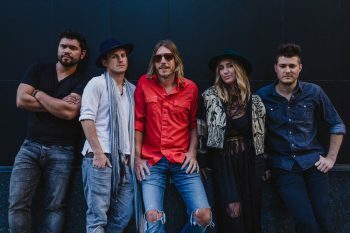 This led to Streeter producing the band’s debut album, “Marie,” which was released in August 2017. “The next thing we knew, we were up in Washington at Bear Creek Studio in the winter of 2016,” said Lawrence. “We lived there on the property and made the record in two weeks. “The album had an indie release last fall but wasn’t officially released until last month,” said Lawrence. “ It was released on June 8 on Big Picnic Records. We’re seeing a lot more uptick on our social media and we’re going out on a lot of tour dates. “We have a second album almost in the can and we’ll probably start releasing some singles soon. 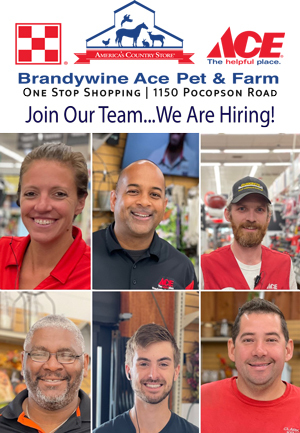 It’s more of what we do. Three-part harmony is one of our pillars – one of the biggest parts of our songs. Video link for the Dales – https://youtu.be/UKoD5OIouLE. 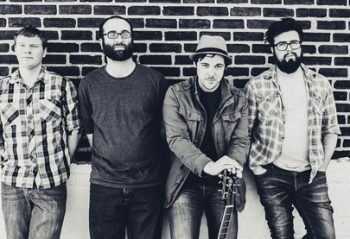 The show at MilkBoy Philadelphia, which has the Karmic Repair Company as the opener, will start at 8 p.m. Tickets are $13. Other upcoming shows at MilkBoy Philly are Long Miles and Stella Ruze on July 27, Dylan & the Dead Experience on July 28 and The L.A. Hustle on August 1. 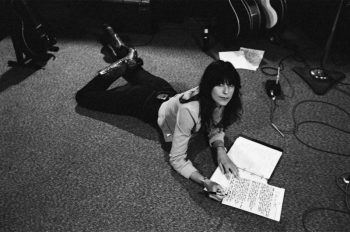 Another interesting show in Philly on July 26 will be Nicki Bluhm’s concert at The Foundry at Fillmore Philadelphia (1100 Canal Street, Philadelphia, 215-309-0150,www.thefillmorephilly.com). The songs were written over a two-year period in Bluhm’s life and chronicle her fundamental life changes – changes which resulted in the West Coast native relocating to Nashville. Recorded in Memphis at legendary Sam Phillips Recording, Bluhm brought in producer Matt Ross-Spang (Margo Price, Jason Isbell), for these live band, analog sessions. The studio band includes Will Sexton (guitar), Ross-Spang (guitars), Ken Coomer (drums and percussion), Al Gamble (Hammond B3), Rick Steff (piano), Dave Smith (bass), with Sam Shoup (string arrangements) and various special guests. “To Rise You Gotta Fall” tells the story of a woman searching for light among darkness and reveals her emergence as a powerful songwriter and vocalist of great depth and immediacy. Video link for Nikki Bluhm — https://youtu.be/iAHUxREIHJM. The show at The Foundry, which has Peter Oren as the opening act, will start at 8 p.m. Tickets are $20. If a band were put together in China featuring a bunch of western ex-pats – a guitarist from Edinburgh, Scotland; a bass player from Lima, Peru; a sax player from San Francisco; a drummer from New York City; and a guitarist/vocalist – what kind of music would you expect from the group? If your answer was “experimental freak punk,” you’re 100 per cent right. If you had a music outfit featuring four Occidentals in an Oriental country, what do you think a good name would be? The band’s answer is Round Eye Shangai. On July 27, Round Eye Shanghai — Chachy: guitar / vocals; Livio: bass / vocals; Gil: guitar; Jimmy Jack: Drums; Mac: Tenor Sax – will visit the area for a show at TheFire (412 West Girard Avenue, Philadelphia, 267-671-9298, thefirephilly.com). Round Eye Shanghai won the “Best Local Band” title from Shanghai’s City Weekend magazine two years in a row. The band has released two music videos – one of which starred famed Chinese actress Wang Lin. “We all are in Shanghai working as teachers,” said Chachy, during a phone interview Tuesday afternoon from a tour stop in Cincinnati, Ohio. “We all had mutual friends in Shanghai. I formed Round Eye Shanghai after my previous band Libyan Hit Squad broke up. With Round Eye Shanghai, we put out the EP on a local label. The new album is on Sudden Death Records, which is a label owned and run by D.O.A.’s Joey Keithley. Round Eye Shanghai will be introducing the songs from “Monster Vision” on this stateside tour. “For us, touring in the summer works out,” said Chachy. “We’re all teachers and our companies pay us to come home during the summer break. I’m a music teacher at Shanghai Experimental School. The other guys teach subjects like architecture and American history. Video link for Round Eye Shanghai – https://youtu.be/OHL-6vuW0Hg. The show at The Fire, which also features the PLIBmen and MOTO, will start at 9 p.m. Tickets are $15. Other upcoming shows at The Fire are ¡Tortuga! Pastel and FLEMT on July 28 and Philly DJ Showcase on July 29. If you’re looking for a way to adequately describe the music of This Way to the Egress – good luck. 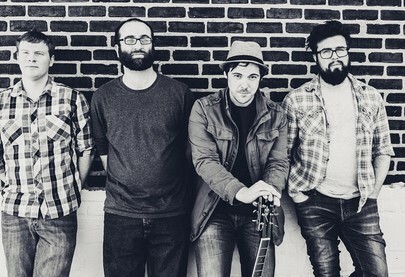 Anyone who has heard the band from Bethlehem knows two things about This Way to the Egress — the band is good, and its music is almost impossible to describe easily. This Way to the Egress — Taylor Galassi (lead vocals, accordion, piano); Sarah Shown (vocals, piano, violin); John Wentz (tuba, backup vocals); Joe Lynch (trombone, backup vocals); Jaclyn Kidd (guitar, banjo); Nick Pecca (drums/percussion) – will be making an area appearance on July 27 at Bar XIII (1706 Philadelphia Pike, Wilmington, Delaware, 302-746-2213, http://barxiii.com). This is not so surprising if you consider the source of the Lehigh Valley band’s name – P.T. Barnum. Many customers followed the signs, not realizing that “Egress” was a fancy word for “Exit.” They kept on looking for this strange new attraction, the “Egress.” Many patrons followed the signs right out the door. Once they had exited the building, the door would lock behind them, and if they wanted to get back in, they had to pay another admission charge. This Way to the Egress won’t pull any fast ones on their fans but the band does provide an atmosphere that captures the variety, excitement and adrenalin rush of a circus performance. Confetti snowstorms, tuba farts, Balinese chanting, fire-wielding evangelists and puppets sweep across the stage and create an anything-goes atmosphere. There is no escape. Back in September, the band played at Kung Fu Necktie in Philadelphia. The show was a “CD Release Party” for the band’s new album “Onward! Up A Frightening Creek.” The album is lively and danceable and stays true to the band’s identity – an identity best described as bizarre. 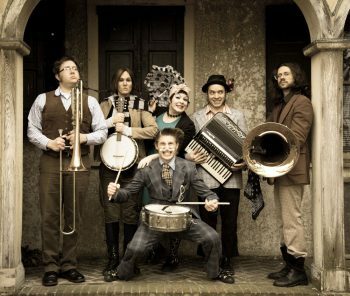 Hailing from a wide variety of musical backgrounds with a diverse array of influences, This Way to the Egress crafts intricately-arranged songs that get people out of their seats. “It’s a concept album that we recorded ourselves,” said Shorn. “It started with songwriting workshops. We do an exercise every few months. We get together one weekend and write three songs from scratch, record them and mix them. All the songs were written by the entire band. We’ve released different volumes – each with two or three songs. “‘Volume One’ was recorded in 2015 and we’ve released one a year since then. We just finished ‘Volume Four.’ We released each of them digitally. ‘Volume Four’ won’t be released until it comes out on the album – but it has been available to our fans…our patrons…through Patreon. 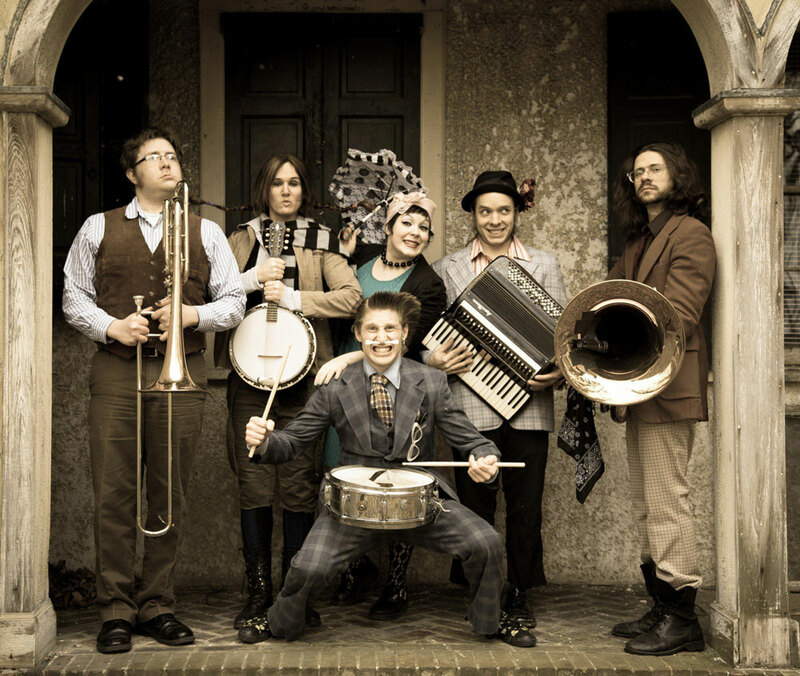 This Way to the Egress released its debut album “This Delicious Cabaret” in 2011 and followed with an album every other year – “Mighty Seed” in 2013, “Great Balancing Act” in 2015 and “Onward! Up A Frightening Creek” in 2017. “‘Onward! Up A Frightening Creek’ is self-released,” said Galassi. “We did a Kickstarter campaign to make it. Our goal was $9,500 and we raised $14,000. “We cut it at Vibromonk Studios in Brooklyn back in the spring. We finished it in April. We did a lot of road-testing of the new songs on the tour right before we went in the studio. When we write an album, we go through songs and keep playing them. Then, we get in the studio and play them again without vocals. When asked about the nature of the band’s sound, Shown said, “How do we describe our music? We’ve been at odds with that since the beginning. “It has a worldly influence along with punk, Eastern European, reggae and gypsy – sort of avant-garde meets punk. “We all live in Bethlehem except our tuba player John Wentz who lives in Brooklyn. I’m grew up in the Poconos. Taylor originally played accordion and cello in John’s band. Taylor saw me play in a pub in the Poconos and told me that we should play together. Video link for This Way to the Egress – https://youtu.be/5TIRkZXXwb0. The show at Bar XIII, which has Radiator king as the opener, will start at 9 p.m. Tickets are $8. 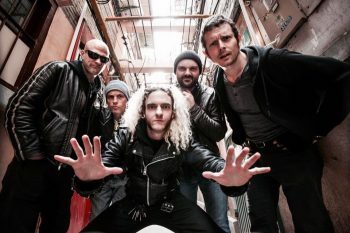 Other upcoming shows at Bar XIII are Corrosion on July 26, and “Dark Angels Cabaret presents: Blazing Space Balls In Tights, A Tribute to Mel Brooks” on July 29. Steve Forbert and Jesse Bardwell on July 27, “Miles Ahead – Films & Words at The Flash” with Mike Billingsley on July 29, and “The 2nd Annual Ben Arnold Summer Residency – Week 4” with the Dennis Melton Duo on July 31. The Kennett Flash & Anson B. Nixon Park will present Apache Trails on August 1 at Anson B. Nixon Park. Showtime for the all-agfes concer is 7 p.m. Admission is free. The Steel City Coffee House (203 Bridge Street, Phoenixville, 610-933-4043, www.steelcitycoffeehouse.com) will host Chelsea Berry with Katherine Rondeau on July 28. 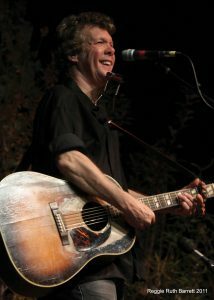 Chaplin’s (66 North Main Street, Spring City, 610-792-4110, http://chaplinslive.com) will host a singer/songwriter night on July 28 featuring Alex O’Brien, Florida Wayne Band, Mike Labella, and Brick Nova. The Ardmore Music Hall (23 East Lancaster Avenue, Ardmore, 610-649-8389, www.ardmoremusic.com) will host “Big Mind + Bazmati Vice” on July 26, “Echoes recreating Pink Floyd at The Spectrum 6/29/77” along with Coatesville musician Brian Fitzy on July 27, and Andy Timmons on July 29. The Keswick Theater (291 N. Keswick Avenue, Glenside, 215-572-7650, www.keswicktheatre.com) presents “Hippiefest 2018” featuring Vanilla Fudge, Rick Derringer, Mitch Ryder & The Detroit Wheels, and Badfinger featuring Joey Molland on July 28. The Sellersville Theater (24 West Temple Avenue, Sellersville, 215-257-5808, www.st94.com) will have The Outlaws on July 26, The World-Famous Glenn Miller Orchestra on July 27, Crack the Sky on July 28, Blackfoot on July 29 and Thomas Dolby on August 1. “We Kids Rock” on July 26 with shows at 10 a.m. and 1 p.m. The Queen (500 North Market Street, Wilmington, 202-730-3331, www.thequeenwilmington.com) will host Roger Clyne and the Peacemakers on July 26, “The People’s Festival” featuring The Hip Abduction, Etana, and The Iconic Meditation Band on July 28, Black Label Society with Corrosion of Conformity on July 30 and Jake Shimabukuro on August 1. The theater’s current production is running now through August 26. Performances are Friday and Saturday evenings (doors 6 p.m./show, 8 p.m.) and Sunday afternoons (doors, 1 p.m./show, 3 p.m.). Tickets, which include dinner and show, are $63 for adults and $33 for children (ages 4-12). “Volta,” the show in Oaks Center (100 Station Avenue, Oaks, www.cirquedusoleil.com) will be Cirque du Soleil’s first Big Top production in five years. It is Cirque du Soleil’s 41st production since 1984, and its 18th show presented under the Grand Chapiteau. Its creative team features 16 creators under the artistic guidance of Jean Guibert (Director of Creation) and Bastien Alexandre (Writer and Director). The production had its debut in April 2017 in Montreal, Quebec. “Volta” is a captivating voyage of discovery about finding yourself, unveiling your personal powers and fulfilling your true potential. It’s about the ultimate freedom that comes with self-acceptance and the liberation from the judgement of others. Video link for “Volta” – https://youtu.be/CE_IxUaojt4. 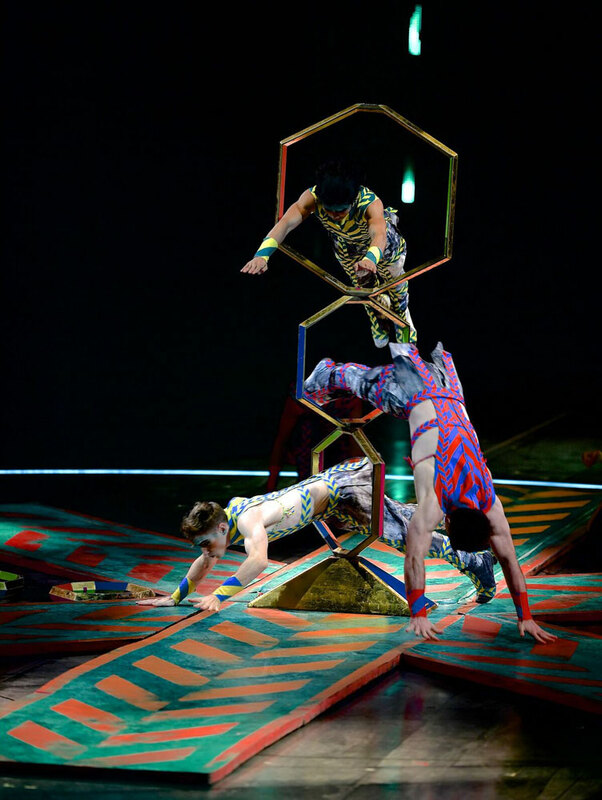 Performances of Cirque du Soleil’s “Volta” will be presented until August 19 under the Grand Chapiteau in Oaks. Ticket prices range from $49-$155.